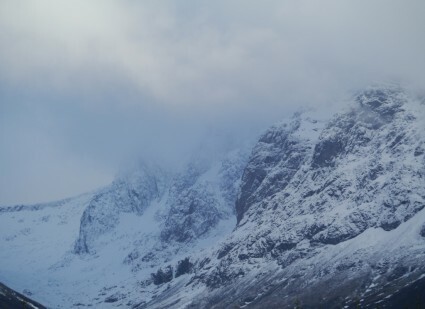 Plenty of new snow has fallen on the high tops and well below 600 metres. 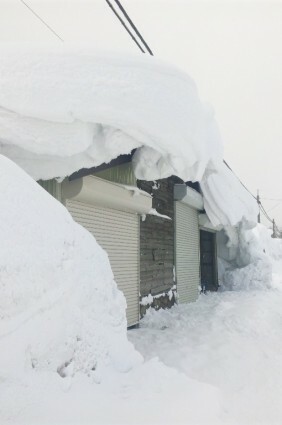 The weather is fine though, if rather windy. 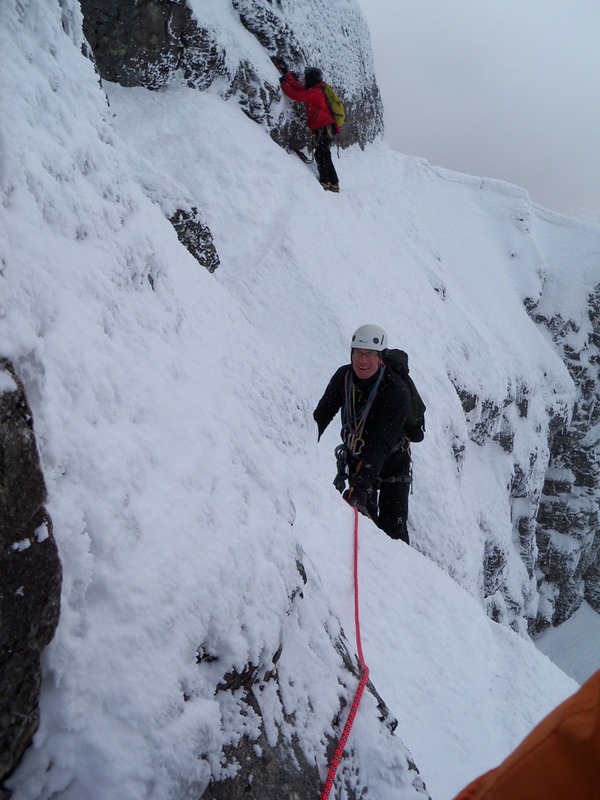 There are plenty of beds free in the CIC Hut next week so contact cichutbennevis@hotmail.co.uk if you are interested. 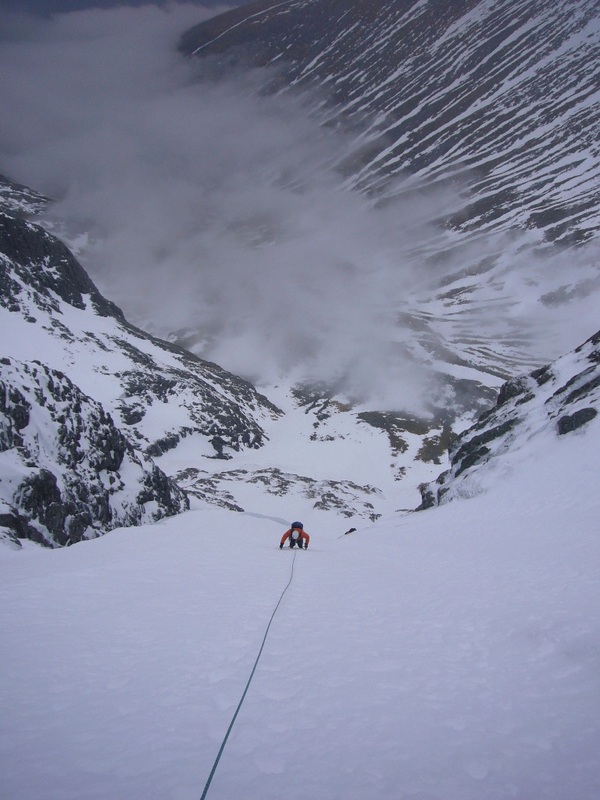 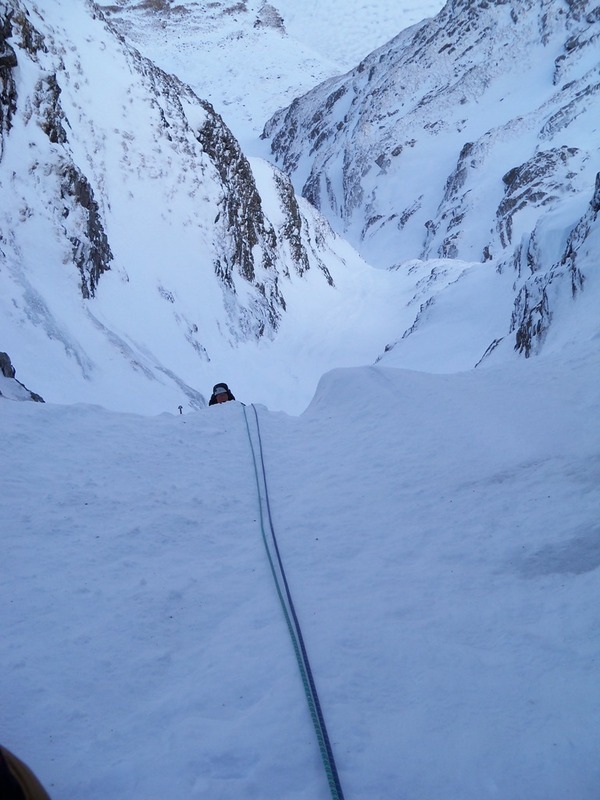 I have space on a winter mountaineering course over the Easter break if anyone is looking for a spot of informative adventure at grade I/II level. 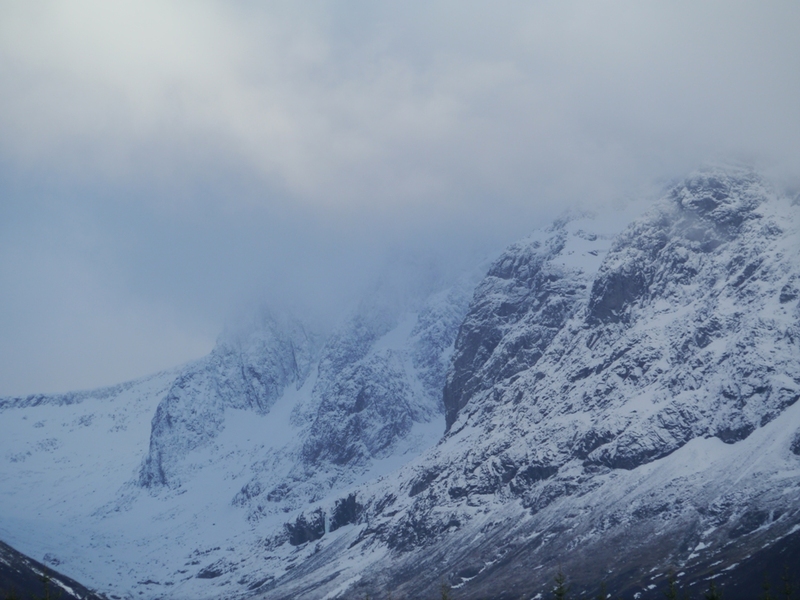 Plenty of spindrift around today. 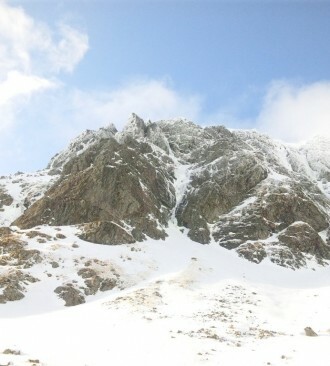 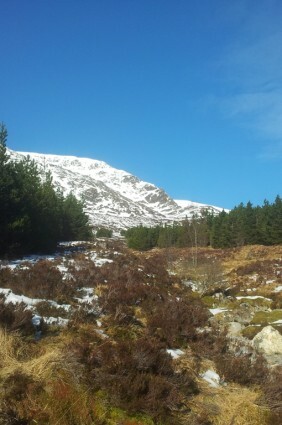 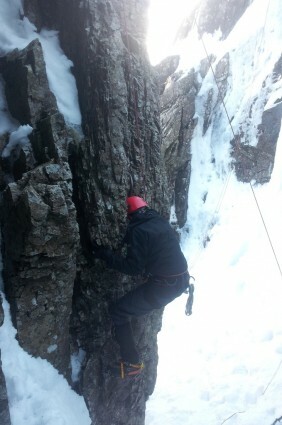 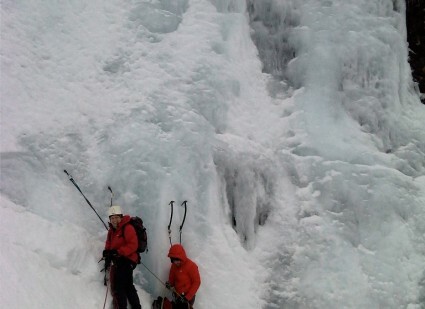 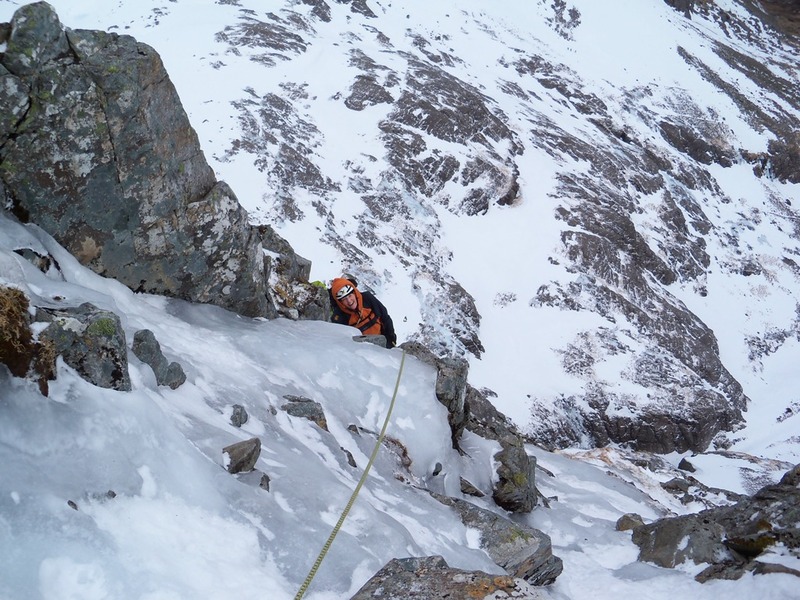 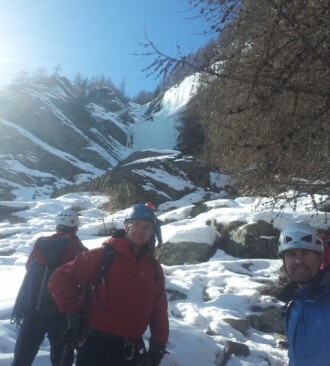 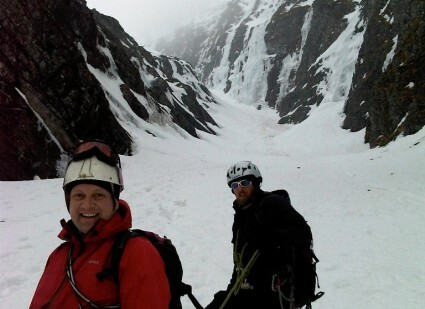 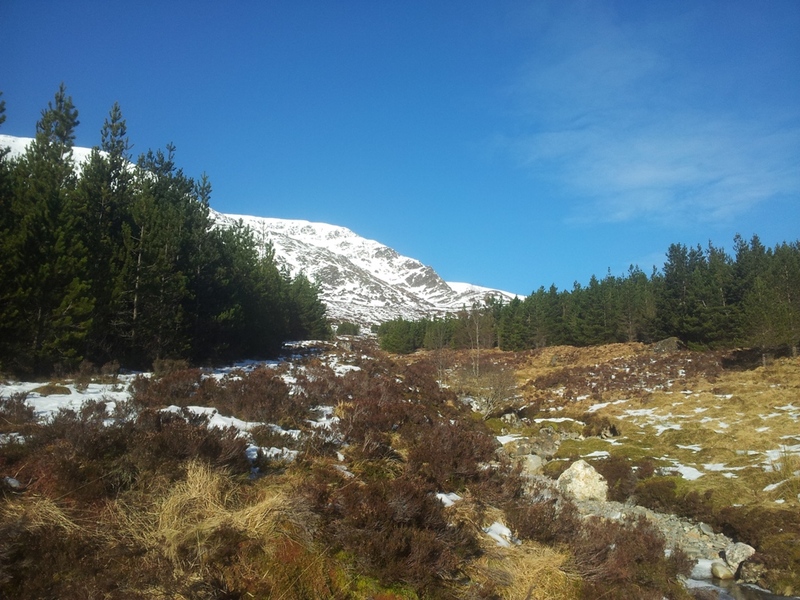 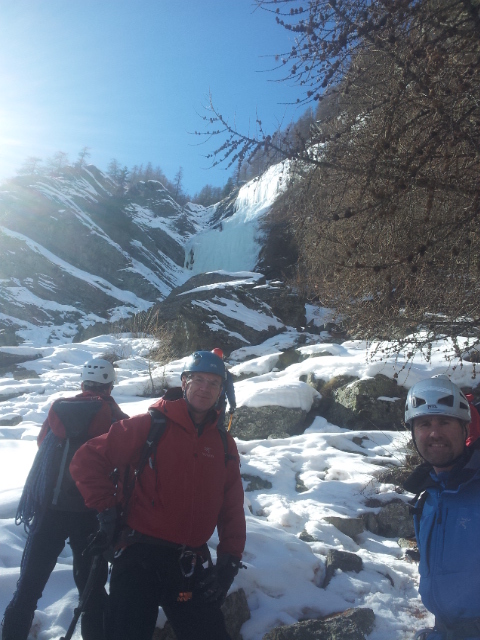 One team returning to Calluna from Vanishing Gully were severely blasted. Thanks to Spike Sellers for these photos taken today. 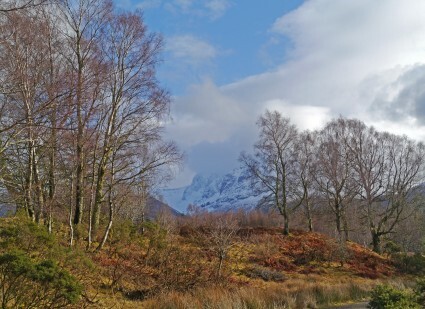 Today it rained until around lunchtime. 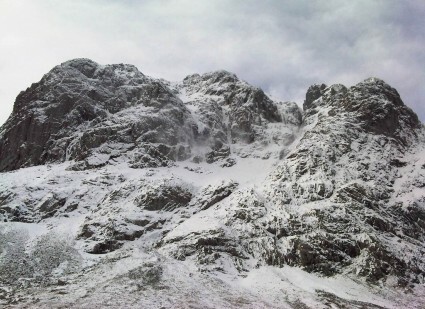 This was turning to snow on the tops and a fair amount fell to below the CIC Hut. 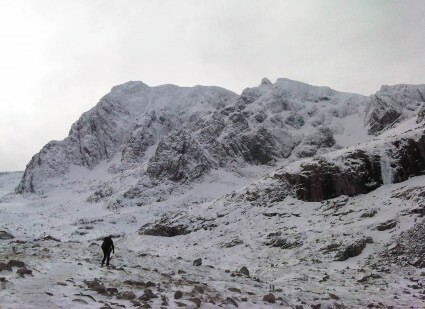 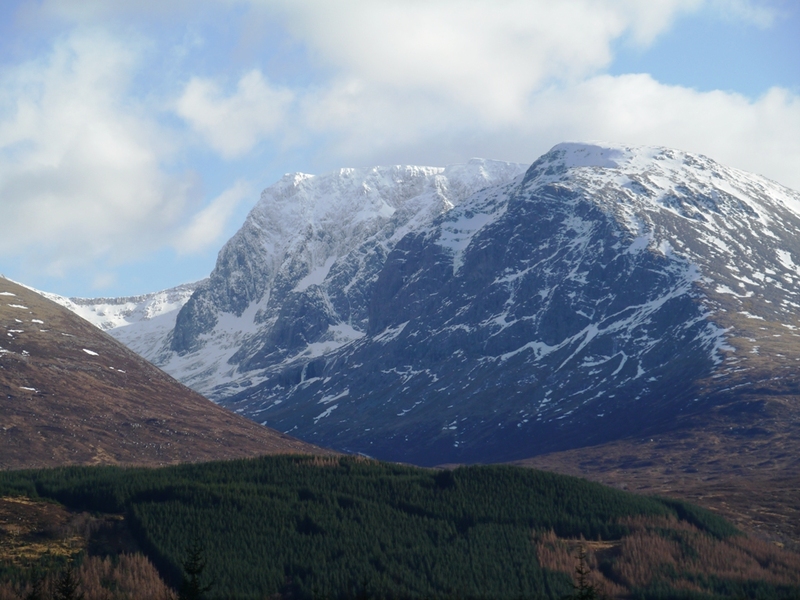 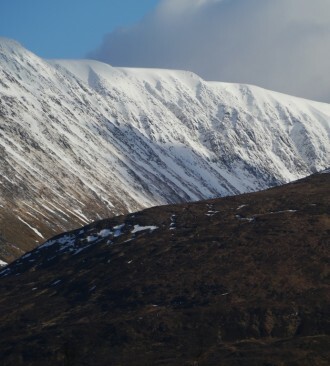 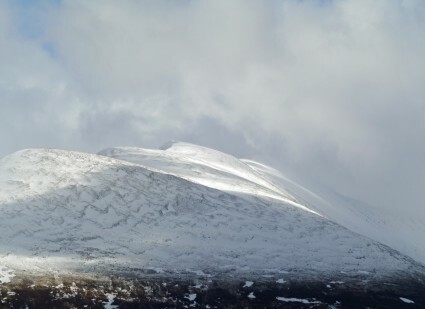 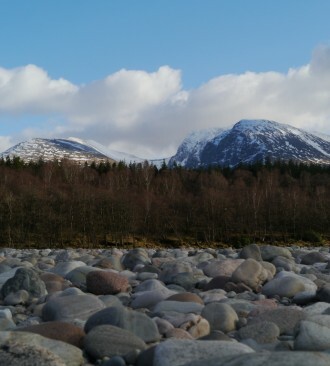 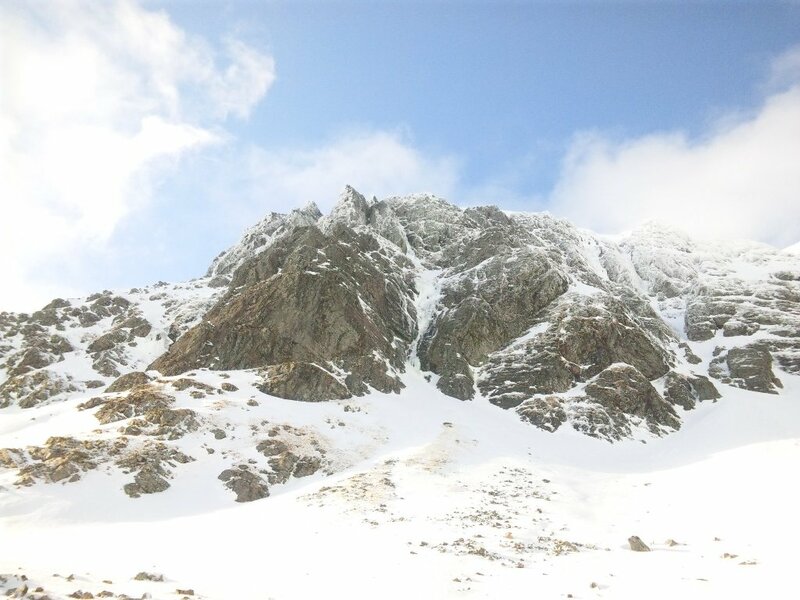 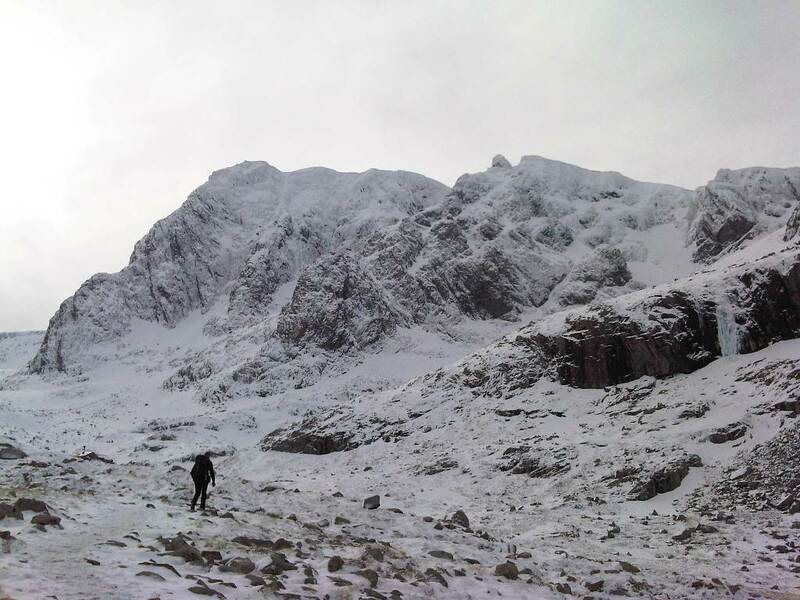 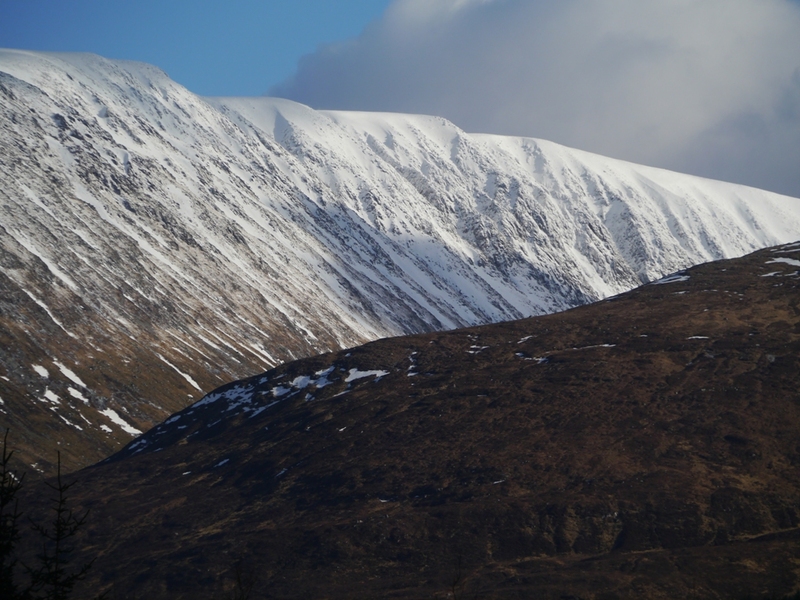 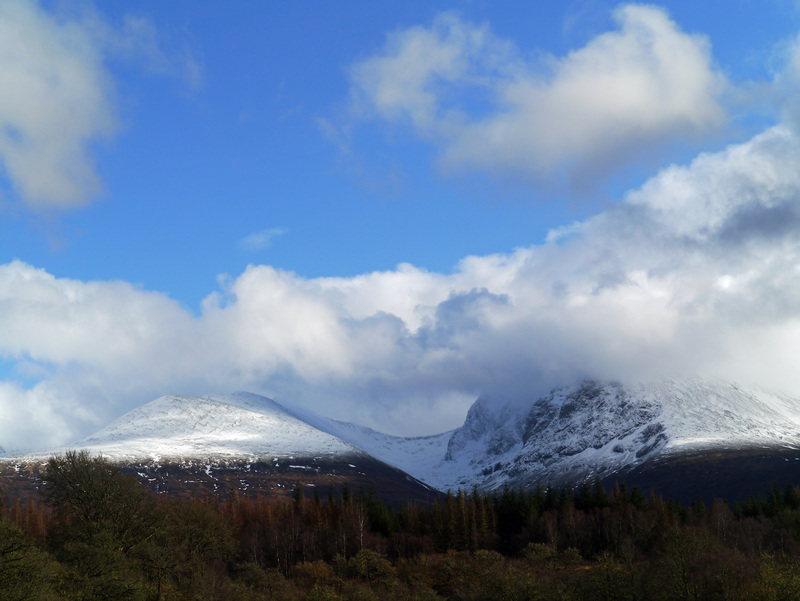 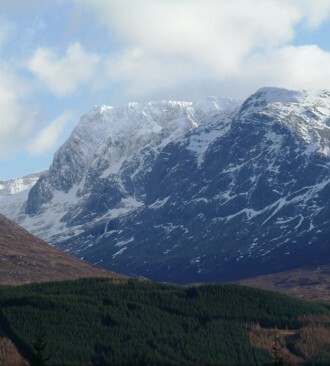 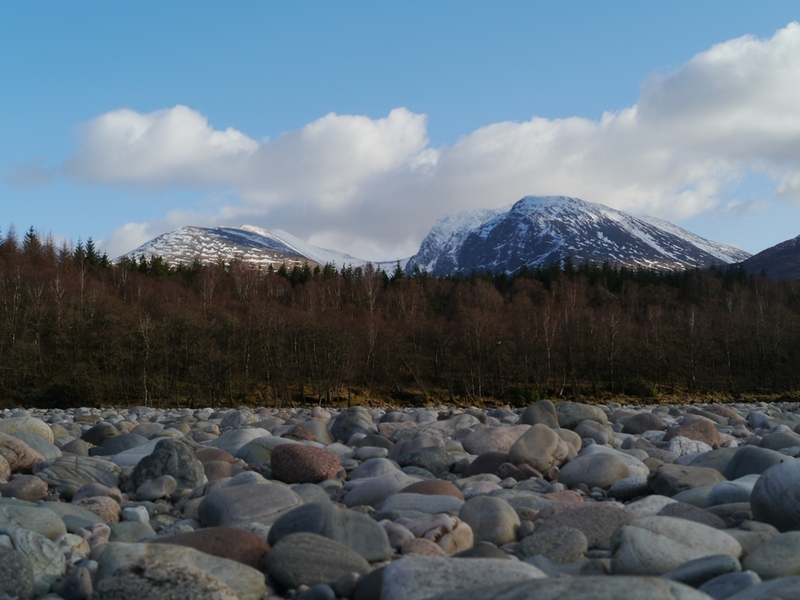 Conditions are still good on Ben Nevis and surrounding hills, although the avalanche hazard has now risen. 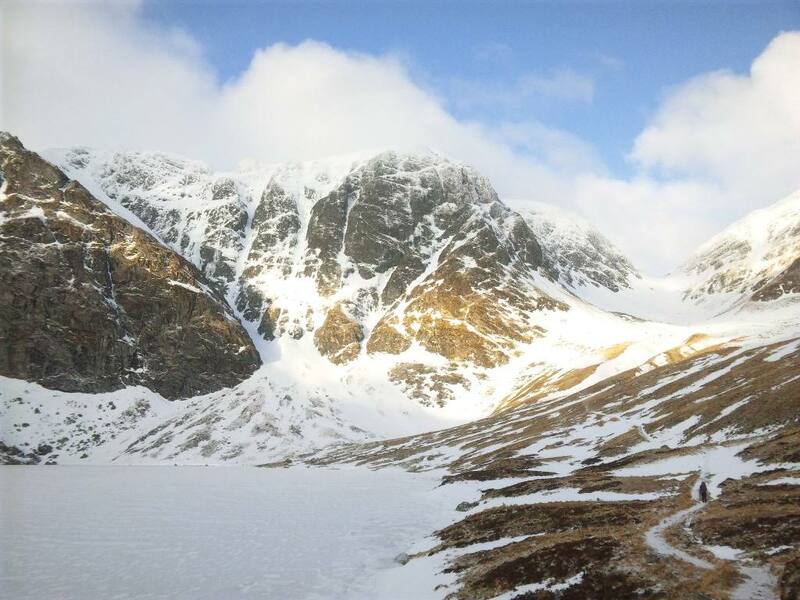 The weekend looks set to be reasonable, with not too much wind and we have plenty of spare accommodation if you fancy a last minute visit. 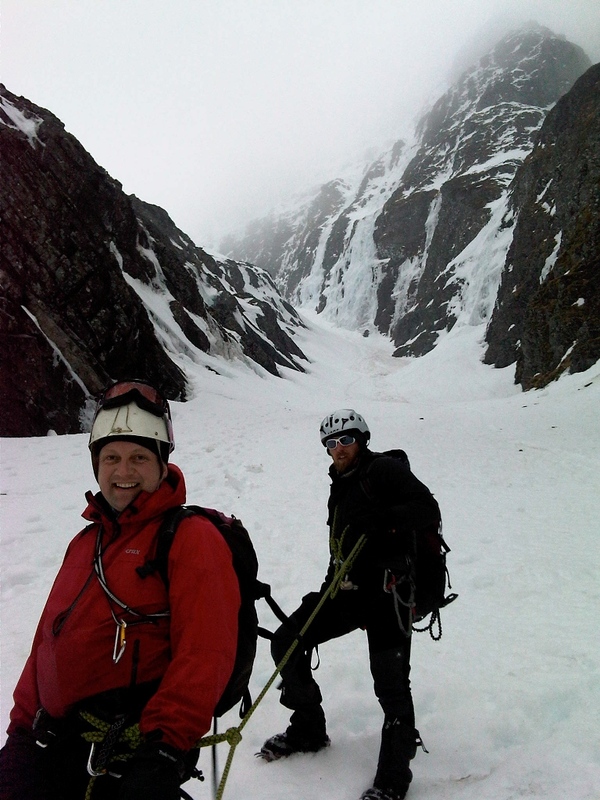 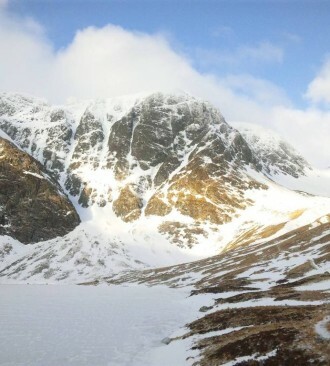 John and I visited Creag Meagaidh again. 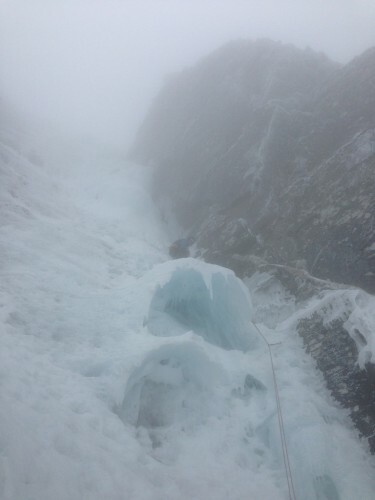 Icefall of The Wand reminded me of French film Parapluit de Cherbourg(:Umbrella of Cherbourg) and American actress Marilyn Monro. 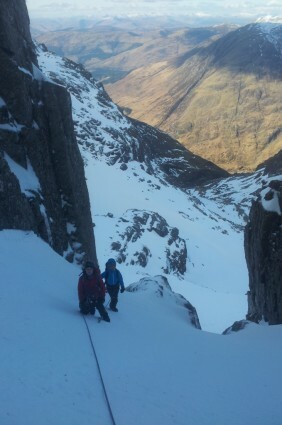 Thanks to Dave Barker for the photos on South Post Direct and Tower Ridge taken earlier this week (Tues/Wed). 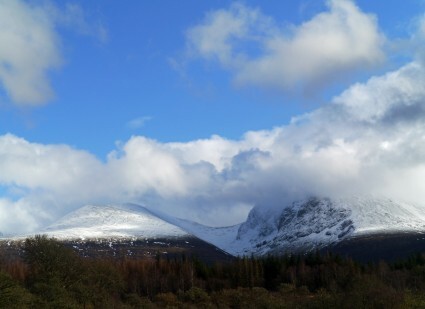 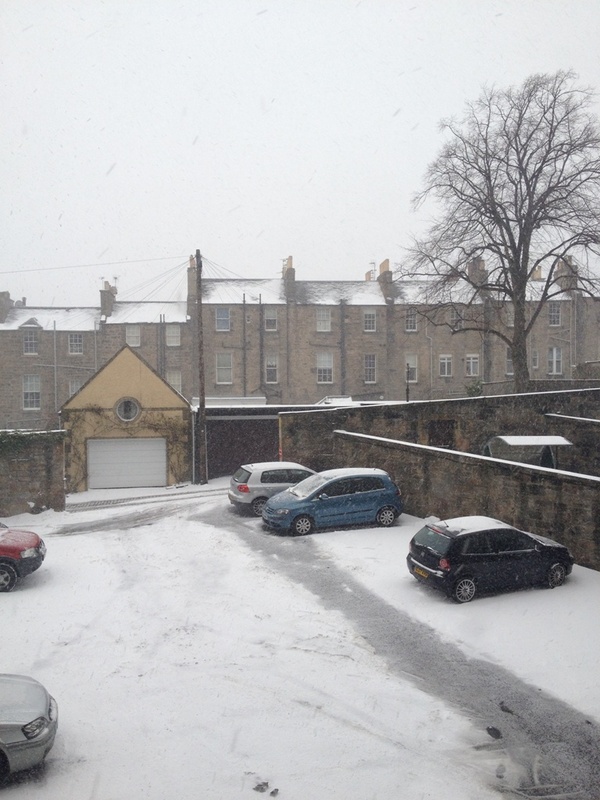 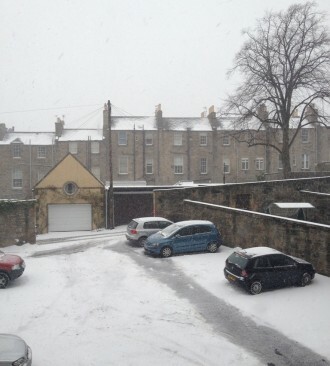 Today we have had some rain, but not too much and it’s snowing again high up. 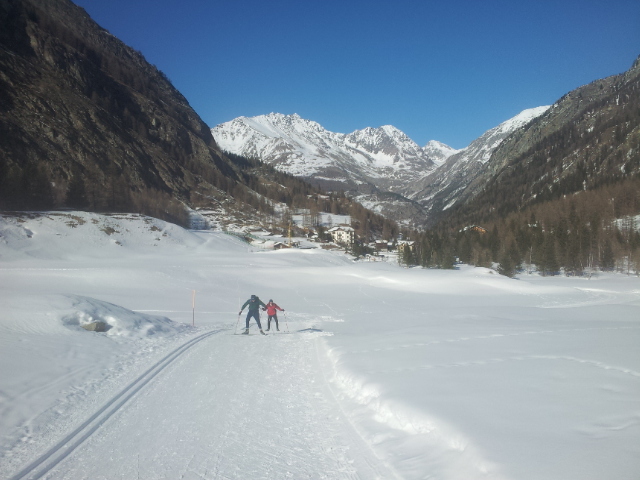 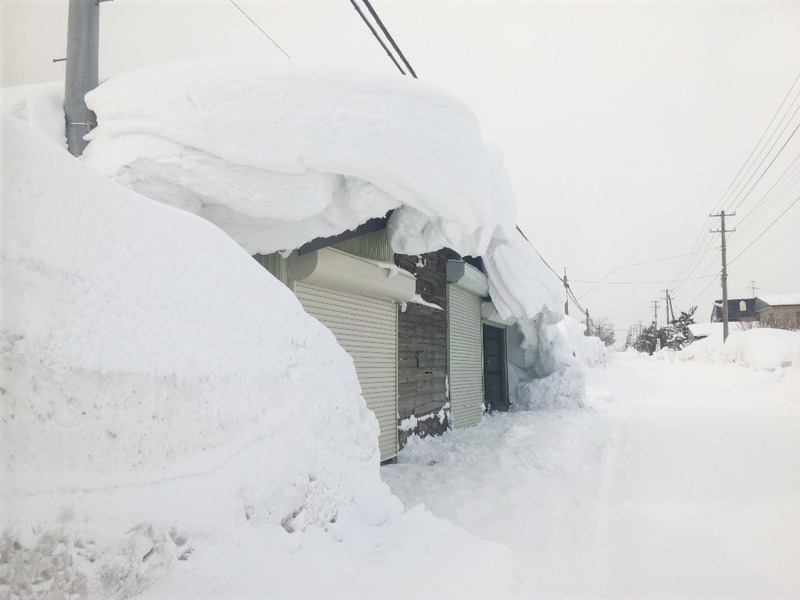 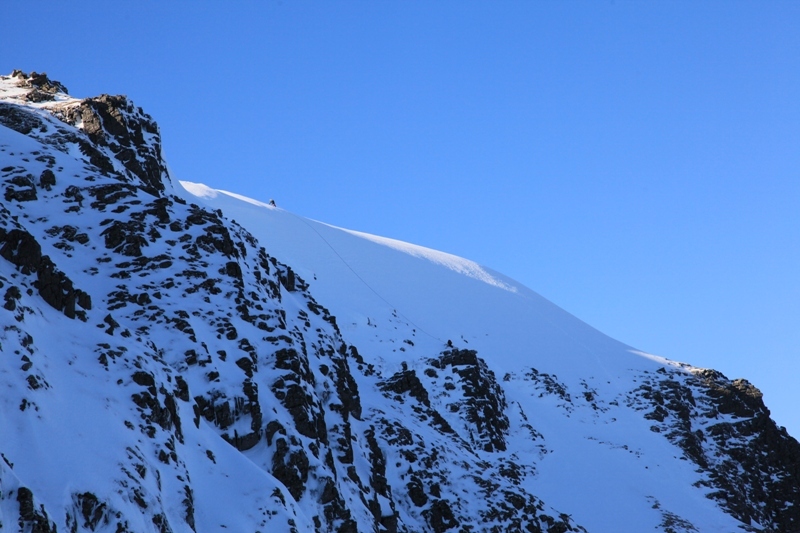 The first time in a few weeks that a ‘Considerable’ avalanche forecast has been posted by SAIS. 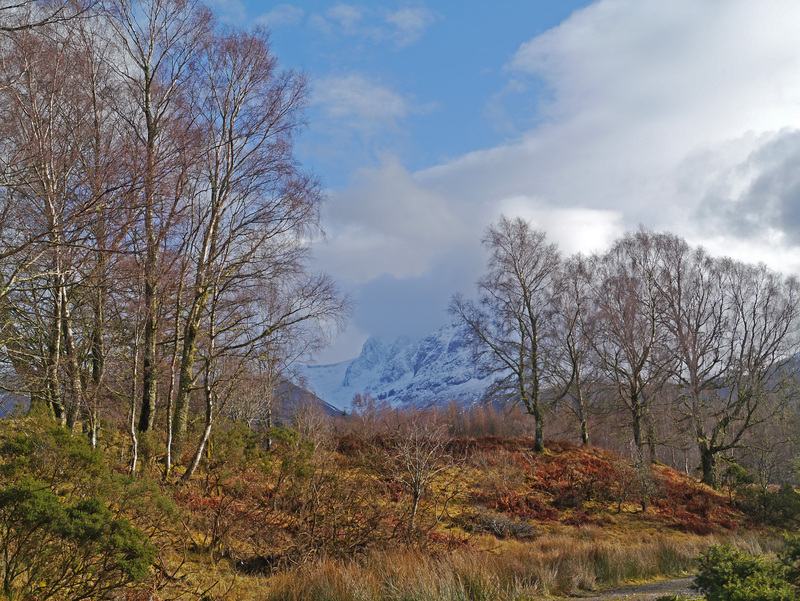 It looks set to remain cold on the tops and good conditions continue. 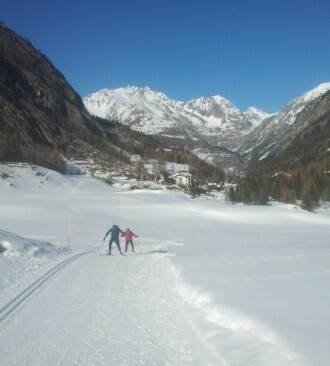 The west is best (as usual)! 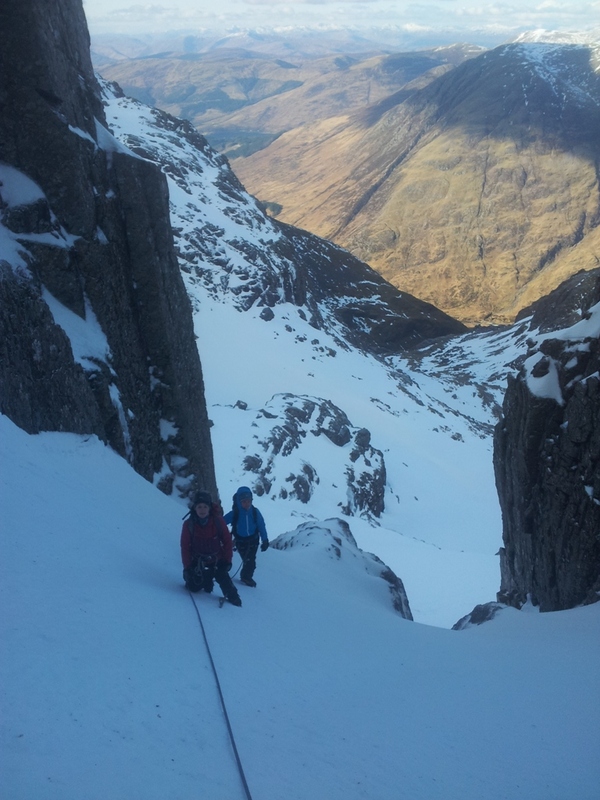 Many thanks to you and Nick last week for a great time on the Ben. 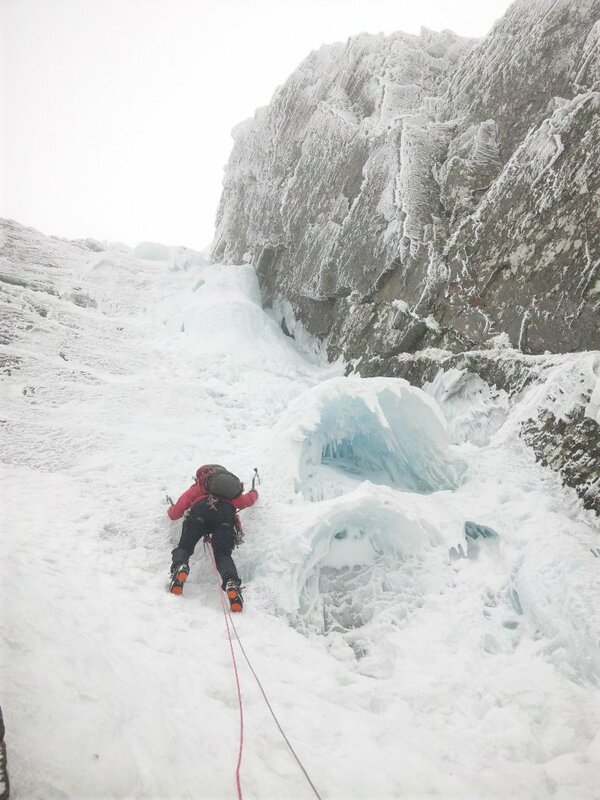 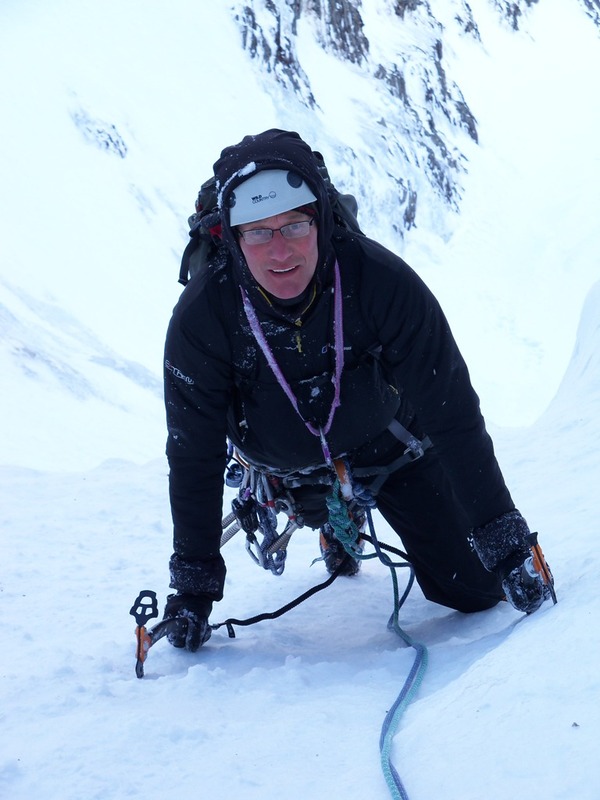 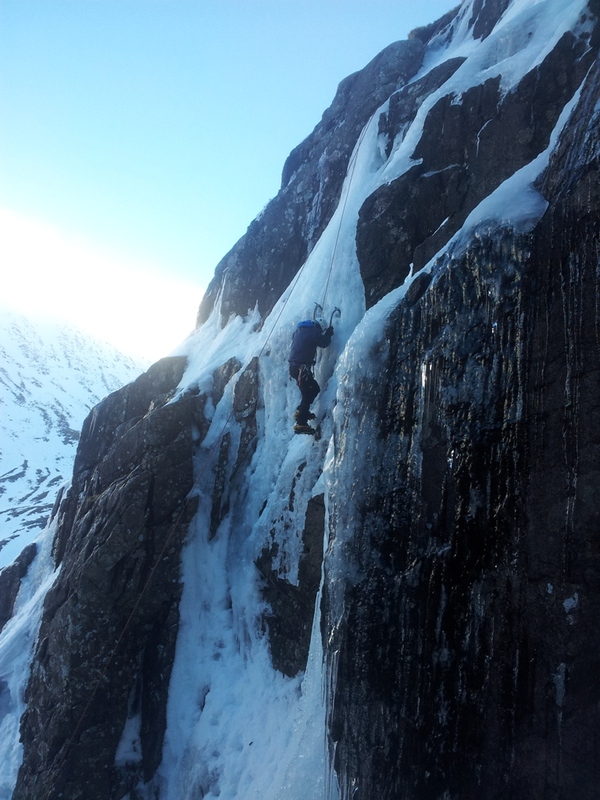 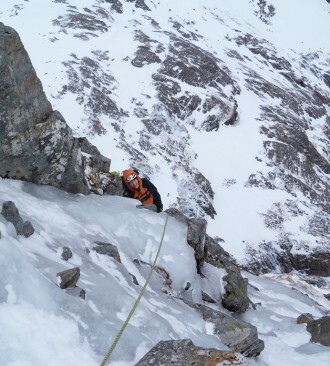 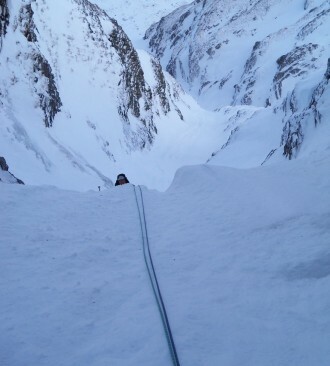 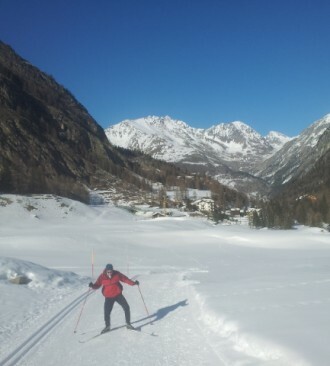 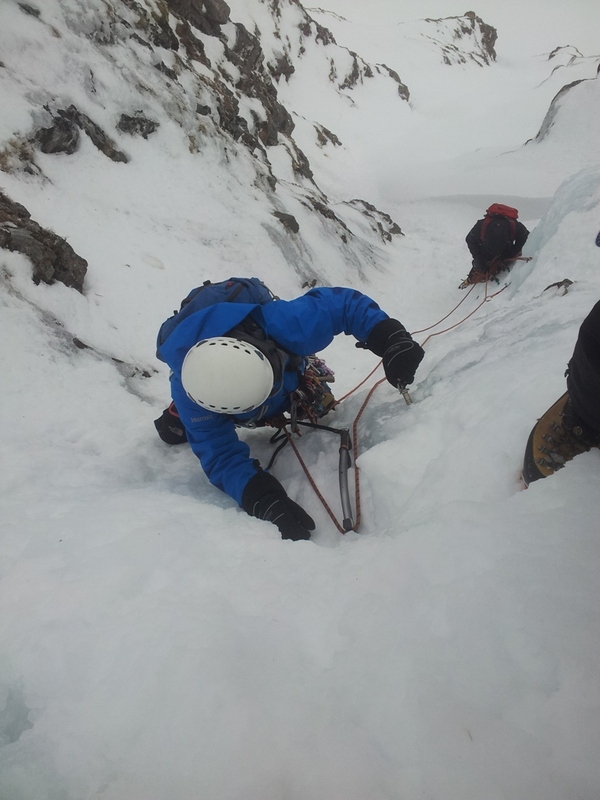 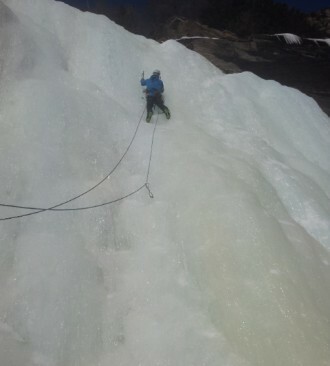 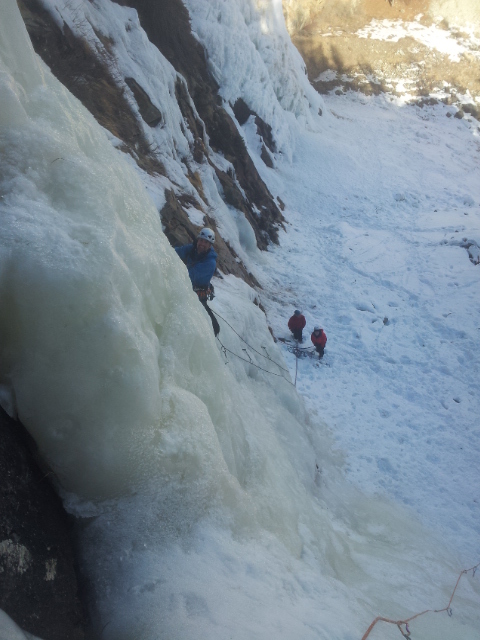 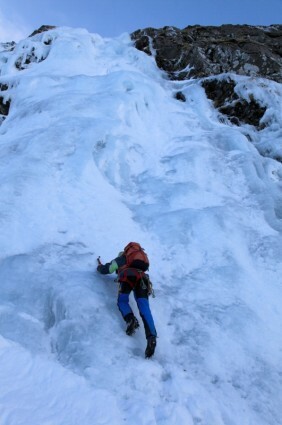 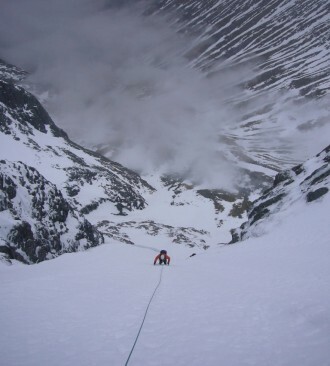 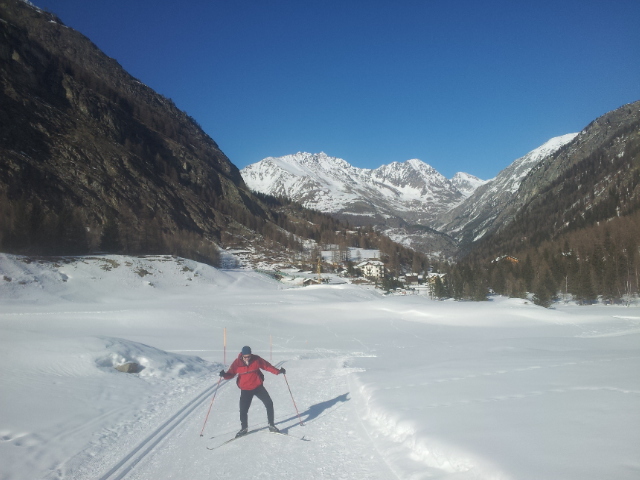 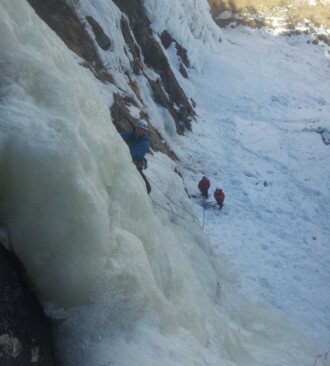 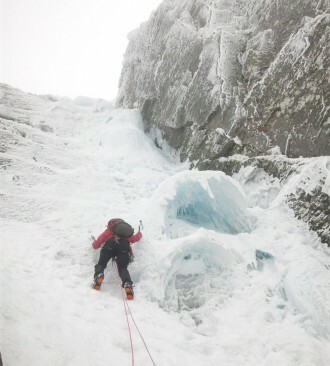 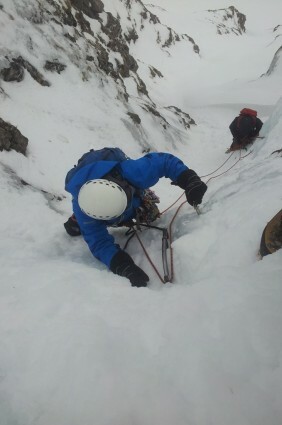 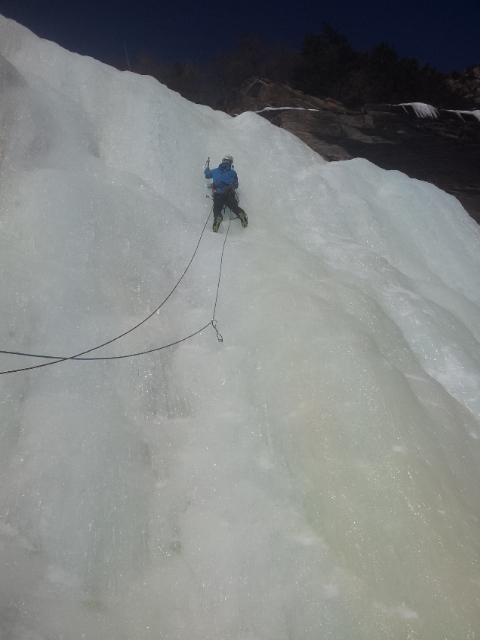 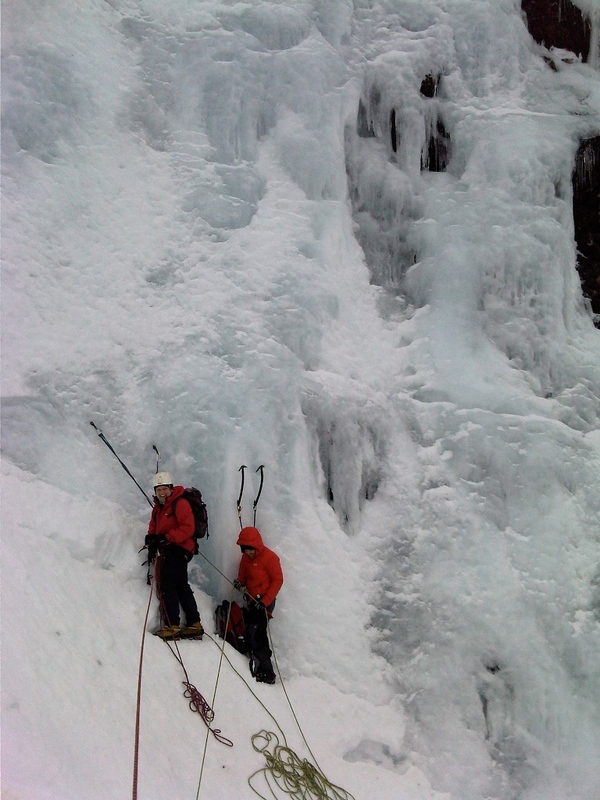 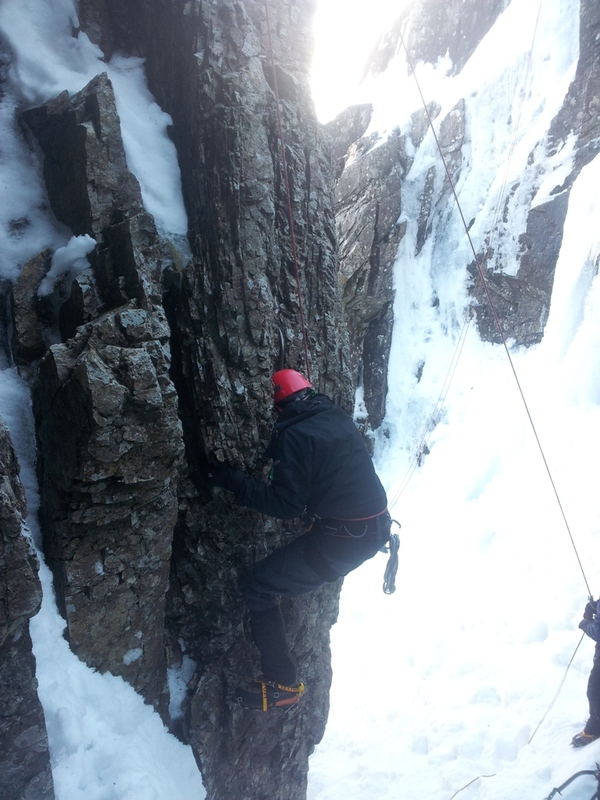 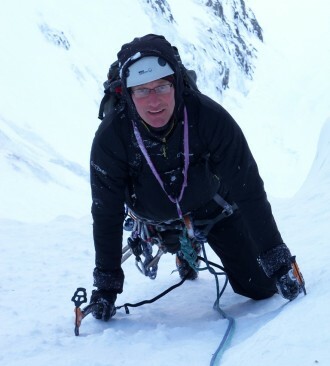 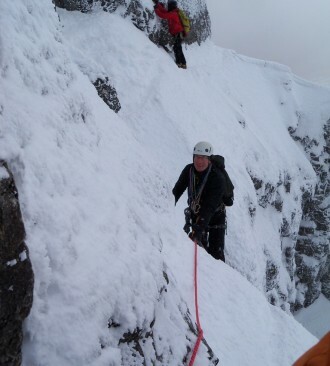 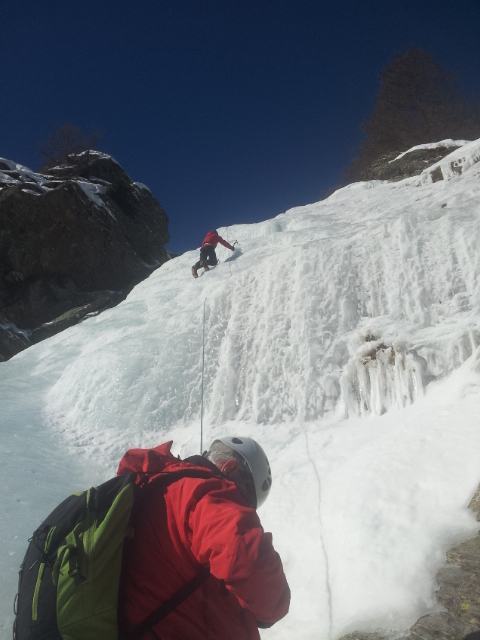 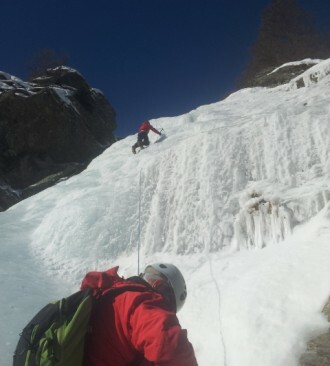 This is a shot of Simon on the final snow pitch of the climb. 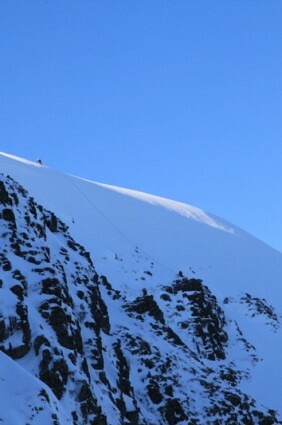 Fantastic that we bagged both this and Point Five -just what dreams are made of!